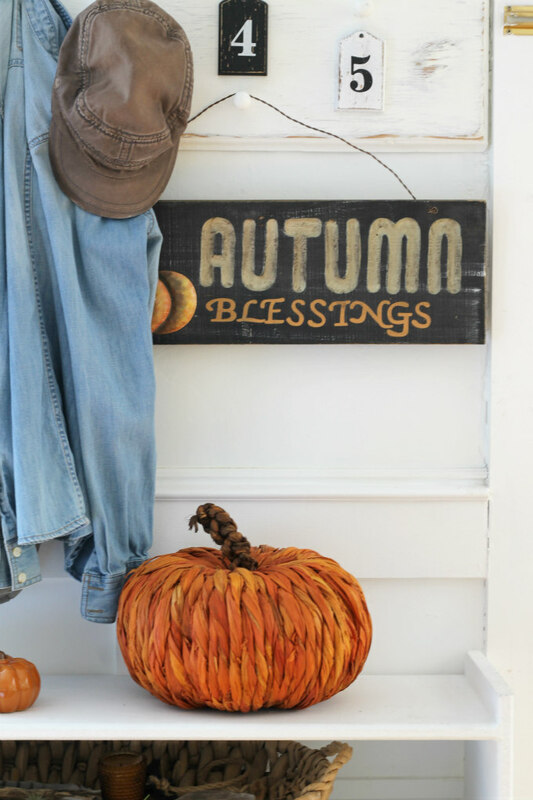 Decorating our home for all of the changing seasons is one of my favorite things to do. 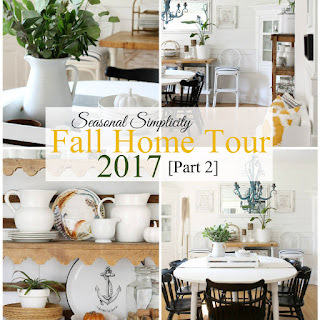 That is why I got really excited when Rachel from Maison de Pax invited me to take part in the Fall Into Home Tour again this year. There is such a lovely group of bloggers in this tour and I will be sharing the links at the end of this post so that you can go check them all out for yourself. 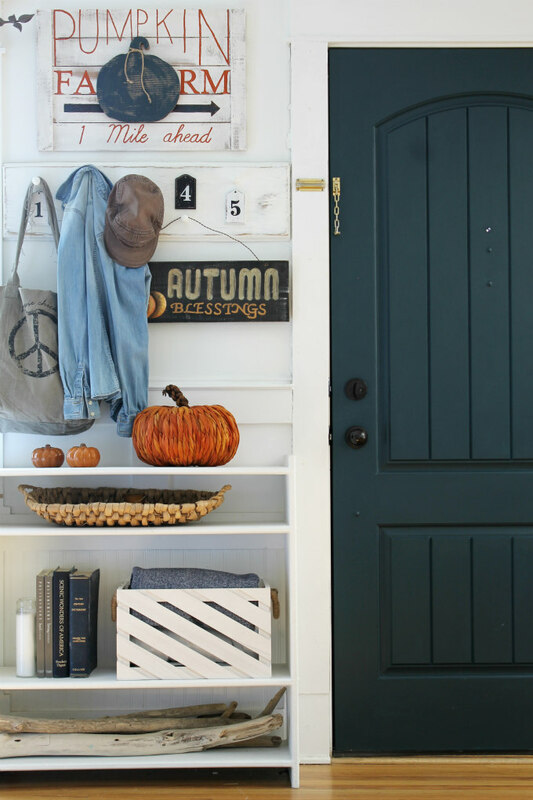 For today's tour I will be sharing our entryway and living room with you, and then next week I'll be back to share a few other spaces around our home that I've decorated for fall. Be sure that you are following me here, as well as on Facebook and/or Instagram so that you don't miss any of it. 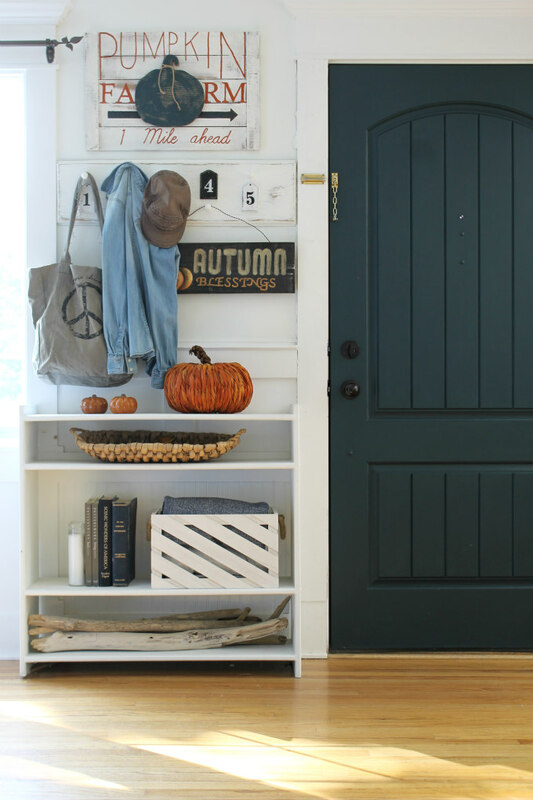 I was most excited to decorate our entryway since I just repainted our front door. You can learn more about the color I picked, along with a before and after in THIS post. I think the new color is perfect for fall. This old bookshelf in our entryway is great because it allows me to easily switch out decor on it for all of the changing seasons. And truthfully, I don't actually own a whole lot of fall decorations other than the fall signs and a few ceramic pumpkins, so I mostly just used items from around our home that felt like fall, and then the raffia pumpkin I borrowed from my Mother-in-law because I thought it was super cute. On the top shelf I have this basket that use to be full of seashells, but for fall I've switched them out for some other nature inspired items. 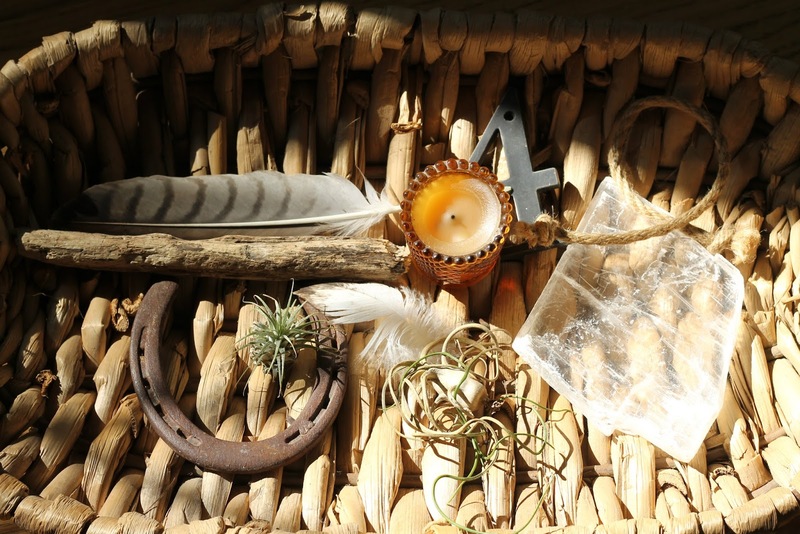 I think items found in nature make the best seasonal decor. I think books and blankets also make great fall decorations. 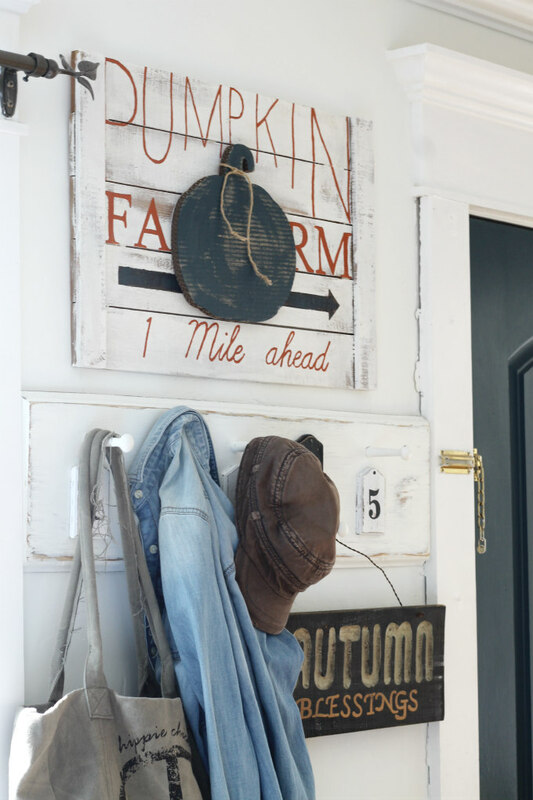 And another easy way to decorate an entryway for fall is to hang up fall attire. I think the only time I ever wear this denim shirt is in the fall anyway. Plaid shirts, jackets, hats, boots are all great choices as well, and they are also practical to grab on your way out the door. 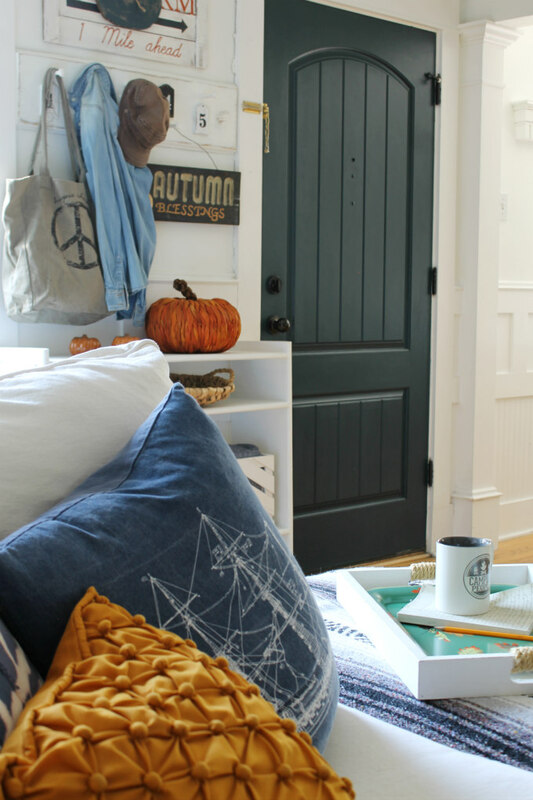 Rachel asked all of us bloggers in the tour to include a DIY project and/or some helpful decorating tips in our blog post so that you can walk away from each tour feeling inspired to cozy up your own home for fall. 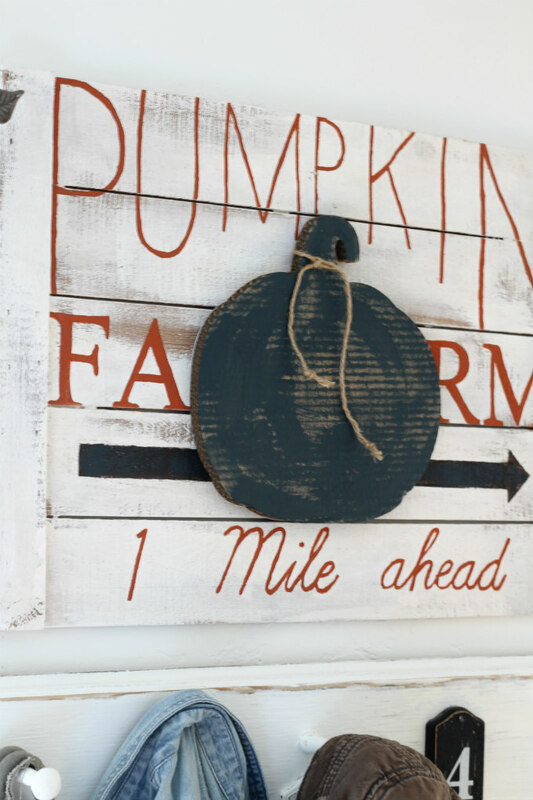 So I wanted to include THIS LINK on how to make this Pumpkin Farm Sign. Although, since making the sign, I have changed it a bit. I turned the pumpkin over and painted it the same color as our front door so that it would match the space better. Before it was covered in an orange craft paper. 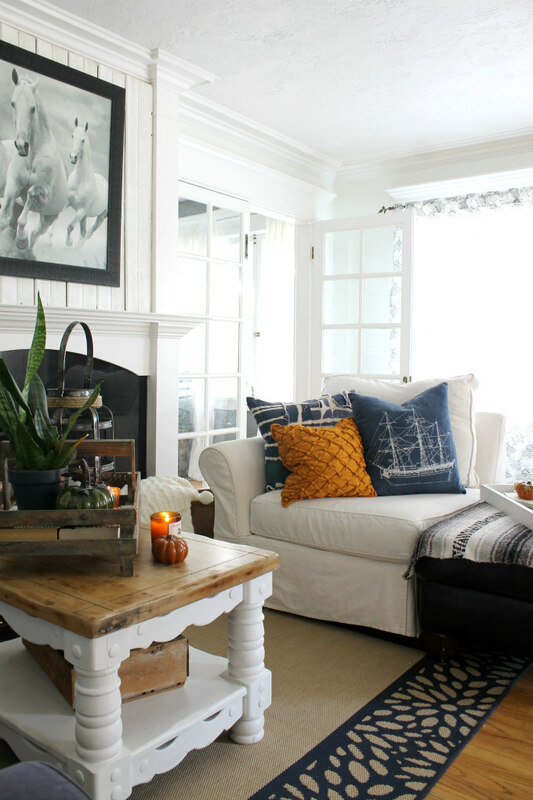 After decorating our entryway, I headed into our living room, where I continued using the blue and orange color scheme. Blue, I love! Orange on the other hand, is not a color I use often. But because orange is such a fall color I decided to add pops of it around our home. This little orange pillow was a yardsale find that I picked up for free. 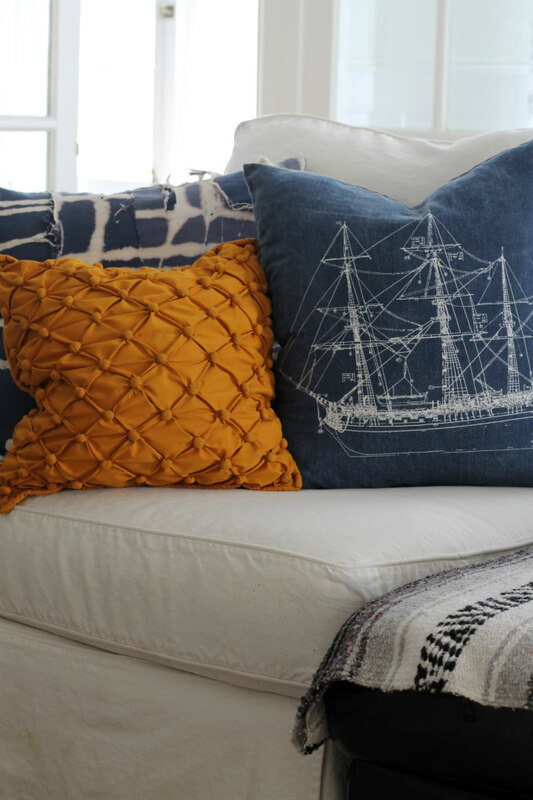 And the blue boat pillow is still my very favorite and has become a staple in the room no matter what season it is. On the other side of our living room I have hung up some large steer horns. We are just borrowing these from my husband's uncle, since he doesn't have room for them in his own home.....and because his boyfriend hates them :) But I think they are awesome! You may have also noticed that my couch is blue. 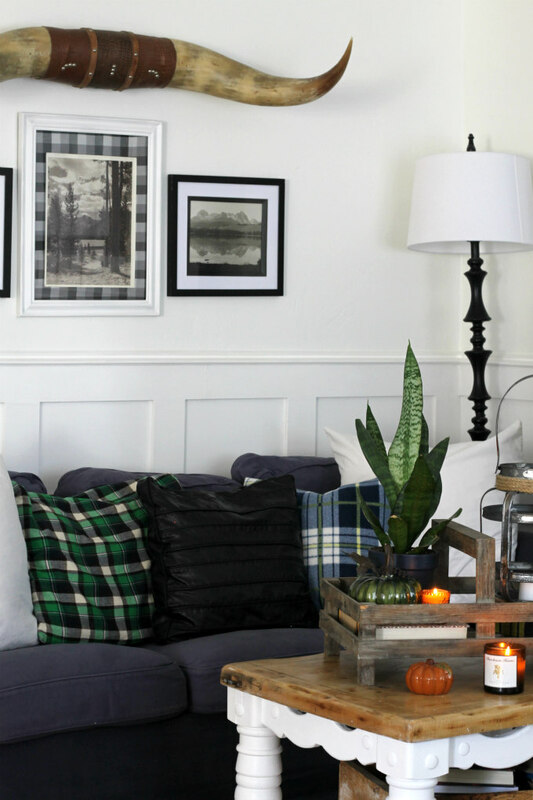 If you haven't seen THIS post yet, I dyed one of my sets of Ikea Slipcovers and I can't believe how much it changed the look of the whole room. 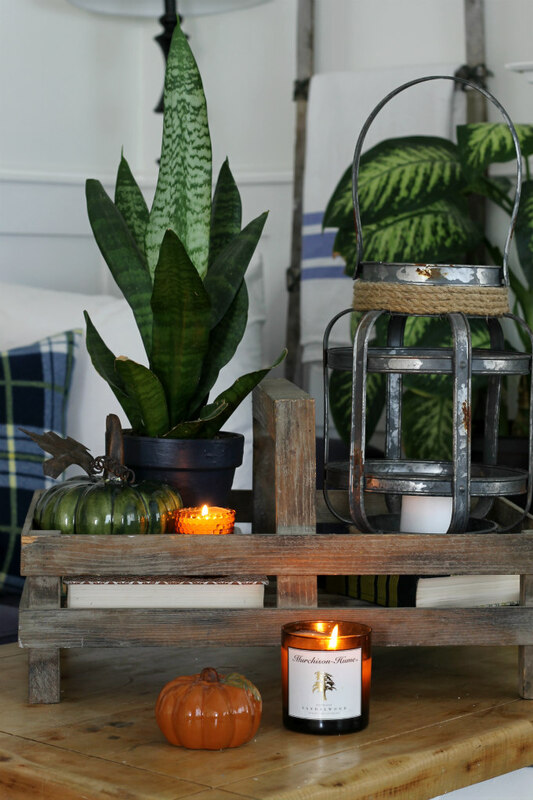 You can find more pops of orange on the coffee table with the ceramic pumpkins and THIS favorite candle of mine. 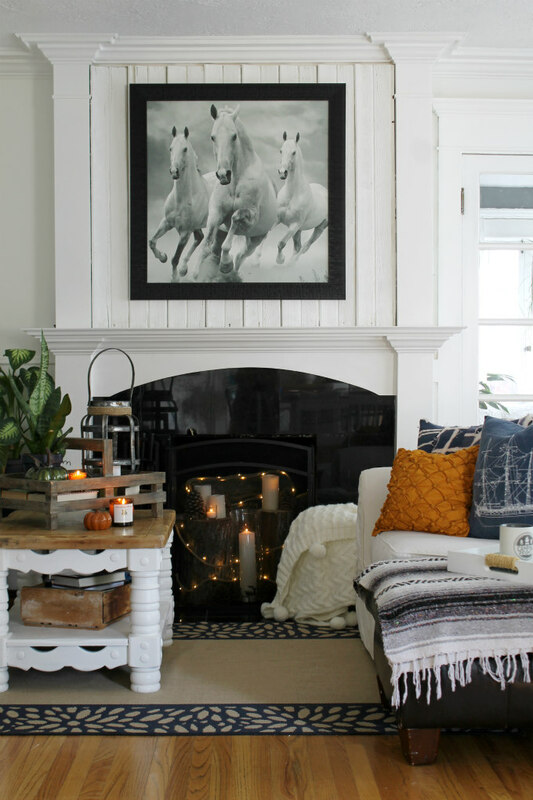 Okay, so probably the biggest statement in the room is this large black and white horse picture, which I have also borrowed. See a pattern? I just borrow my decorations from friends and family, and then I give them back when the season is over. Savage! 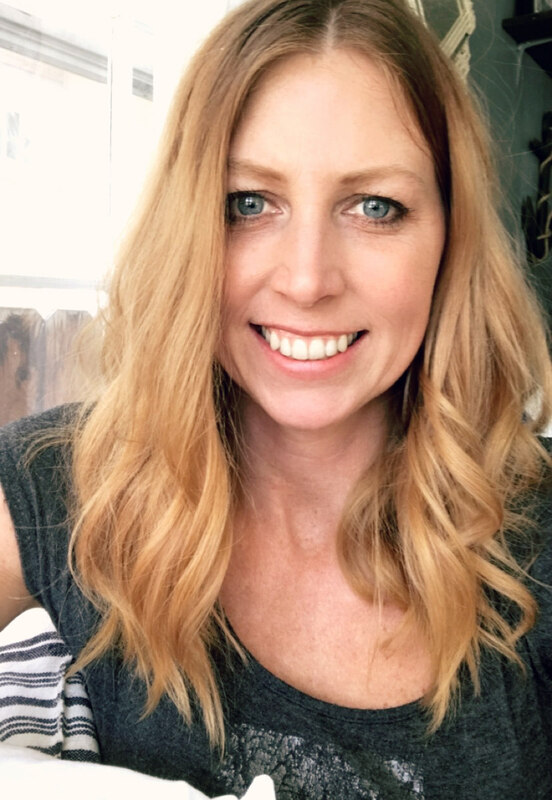 I actually borrowed this picture from my husbands work office and temporarily switched it out with that large seascape painting that I had hanging in our living room before. I love how perfect this picture fits on our mantel. 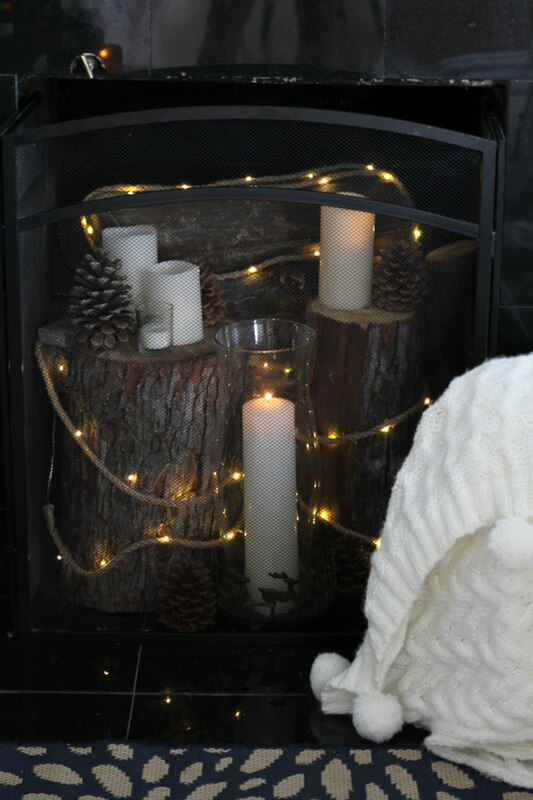 As for the fireplace itself, I added logs, candles, pinecones, and some fun rope lights (from HERE). This is a great alternative to actually lighting a fire. 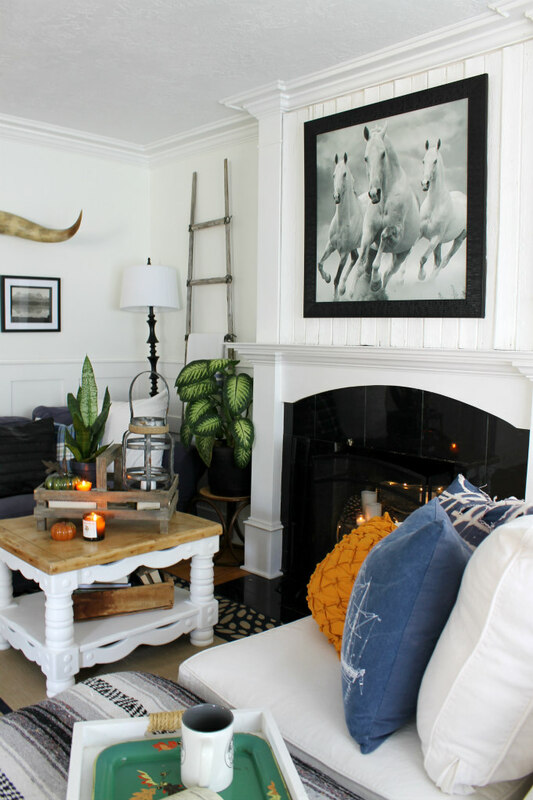 The candles and rope light give off a warm and cozy feeling. 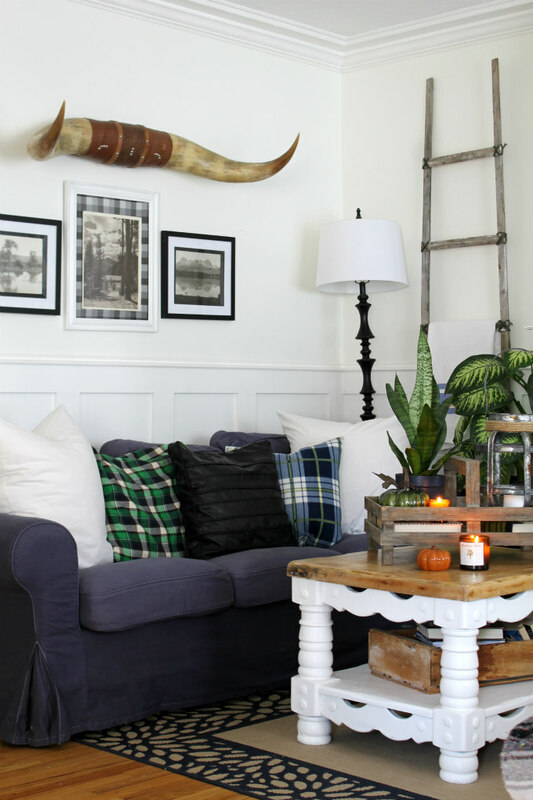 And there you have it, our fall living room. Next up on the tour is, Love Grows Wild. Everything Liz does is Stunning! So let's head on over together because I can't wait to see it! 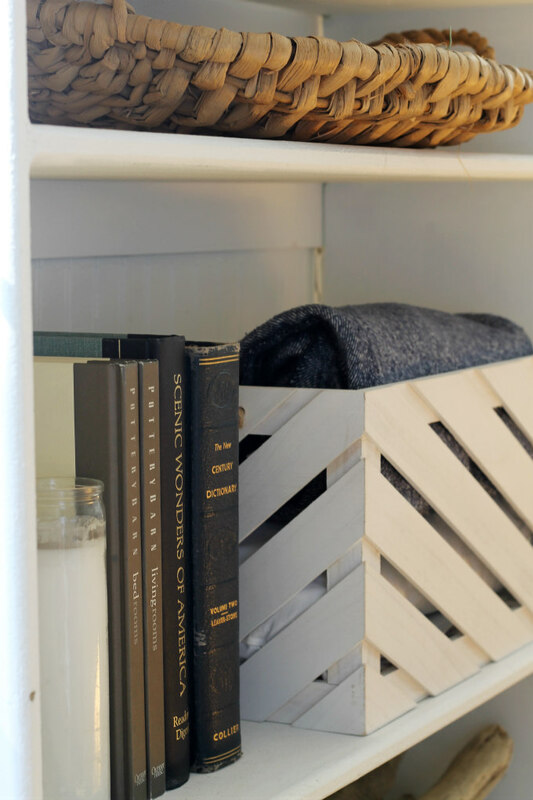 I loved your tour and I always look forward to see how you style and freshen up your wonderful entry space. Your home is just so inviting and soft with textures. Thanks for joining the tour. Charming !love your horses print the beast ! Lovely...such a fresh and inviting space! Your home is always a fav of mine dear friend! I love watching you change and adapt for the seasons!